KISSmetrics has a great article and infographic discussing the particulars of bounce rates by industry. Average industry bounce rates are at about 40.5%, while lead gen websites can expect a 30-50% bounce rate. Service and retail sites rank in at about 10-40%, while one page sites exist simply to gather info or as a cart tend to have a higher bounce rate – 70-90%. If it sounds like we’re speaking Greek, it’s time to get in the know about your bounce rates. A bounce rate refers to the number of viewers who visit your site, then leave without looking at any further pages or taking any further action on your website. Bounce rate is one of the top ways you can assess landing page improvements. Once you make these improvements, you can bring in a wealth of new web leads. You can find your bounce rate by taking a look at any analytics tracking platform (might we suggest Lead Liaison’s stellar lead management software for this?). If your landing pages aren’t doing any of these things, you’ll see your bounce rates increase. Landing page improvements can keep people looking through your site for more information about your company, which better increases the chance they’ll engage. Header. The top of your site should feature your logo and contact information. If users land on your page and aren’t sure what to do, they’ll bounce. 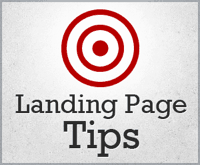 Try to develop a common look and feel to your landing pages which provides visitors with “familiar territory”. Consistency is good thing with your landing pages. Use Lead Liaison’s landing page builder to easily create templates, just like you would with a PowerPoint slide. About your company. You’d be surprised how many companies leave this out – even on their homepage! Immediately tell your users who you are and why you’re the best at what you do. Offer. Landing page improvements should focus around what you’re offering and what you’re looking to get from your customer. For instance, if you’re offering an eBook in exchange for an email address, make sure the sign up form is above the fold of your page. Structure. Users are used to seeing crisp-looking professional pages that are well-put together. A graphic or video that highlights your service followed by more about your company and the offering should all be showcased above the fold of the page. Most users read from left to right- just like a book – so it’s good to give users a visual or text representation of who you are followed by a call to action (e.g. fill out our form, watch our video, etc.). If you’re interested in placing a video on your landing page then Lead Liaison’s landing page builder can help you drag/drop YouTube videos or other flash content directly on your page. If you see your bounce rates are higher than industry standard for certain pages – particularly your landing pages – make the recommended landing page improvements and watch to see if your bounce rate decreases over time. Landing page improvement tracking is best measured through landing page ROI. If you’re not sure your landing pages are getting you the best possible ROI, Lead Liaison can help! Our suite of solutions can help you assess whether your landing pages are performing as needed. Bounce rate assessment is an important part of that info. We’d love to hook you up with effective landing page ROI solutions today! Are Your Landing Pages Ruining Your Business?